June. Alabama. 50K. Three words you don’t always see mentioned in the same sentence. But we did it anyway. 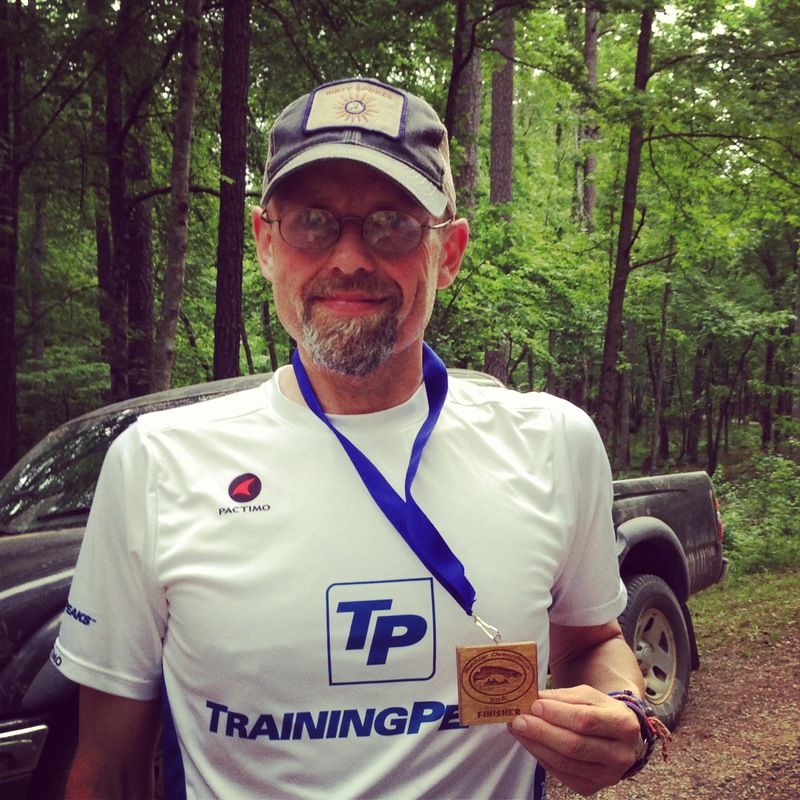 In March, when the temps were cool and spring was springing, I signed up for this inaugural trail race along the Pinhoti Trail in Alabama. I thought it would be a fun day, and give me a chance to get another 50K under my belt. 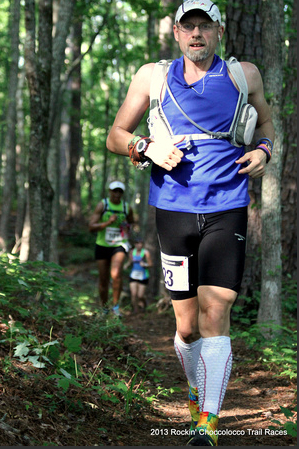 I’ve also grown fond of Todd Henderson, the race director, (he is also RD for the Pinhoti 100 and the Cheaha 50K). A race directed by Todd is like a family affair. You see a lot of familiar faces, and Todd is very accessible and helpful to veterans and newbies alike. 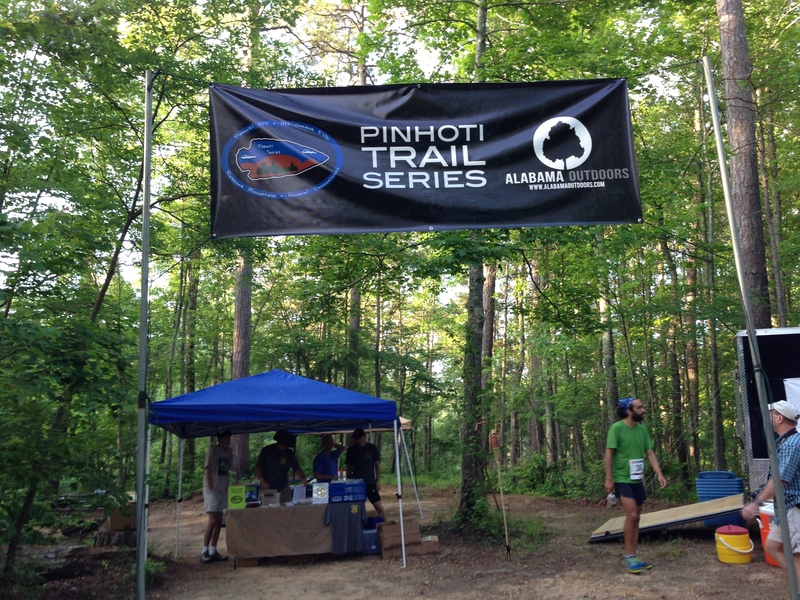 Set along the Pinhoti trail system, this course has less than half the elevation as the Cheaha 50K, but what it lacks in climbs, it more than makes up in tough race conditions. High humidity and warm temperatures made this race a serious challenge. The course itself is stunningly beautiful. After racing Cheaha in winter with little growth and bloom, seeing the flora and fauna of the Pinhoti in full bloom was awesome. Inaugural event and time of year limited the field to a small but dedicated group of runners. Just around 100 registered for the 13.1 and 50K. I think there were 50 of us doing the 50K. An out and back course, the race gave me the chance to see some of the faster runners just past the turnaround. I tried to study their form a bit, see how they were handling the heat, and get a glimpse of a fast trail runner halfway into a 50K. To a person, they were all dealing with the heat and humidity. 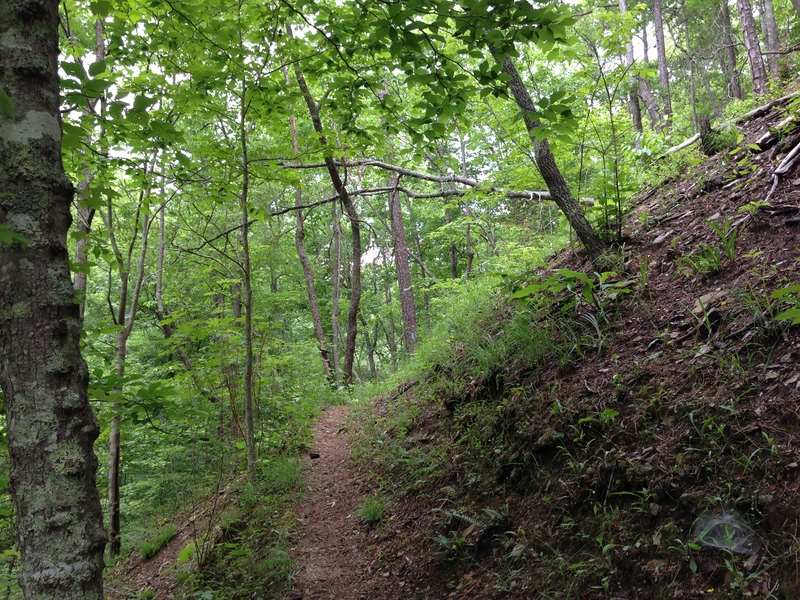 This trail was single track all the way so we had to give room to those coming our way. The leader, a tall guy with only a handheld, looked so smooth and effortless, even though he looked like he had been swimming. Drenched in sweat! 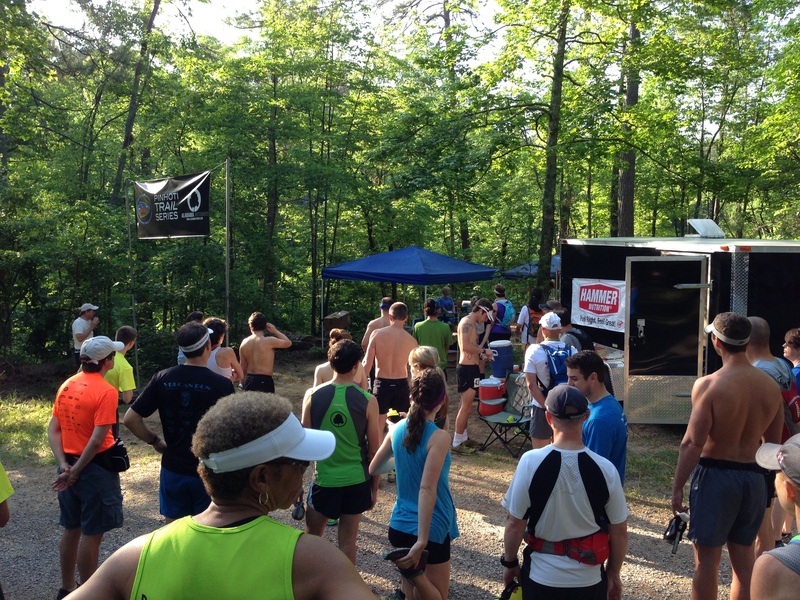 The aid stations were well-manned, with alternating unmanned and manned stations. The unmanned stations had Heed and two large coolers of water. The aid stations were manned by pretty much the same group of people, rolling ahead of us on the course: PBJ sammiches, pretzels, chips, M & Ms, fruit, were in abundance. I knew we were in for a long day when at the first aid-station, i grabbed a potato chip and it was soft and wilty from the humidity. Not a good sign. 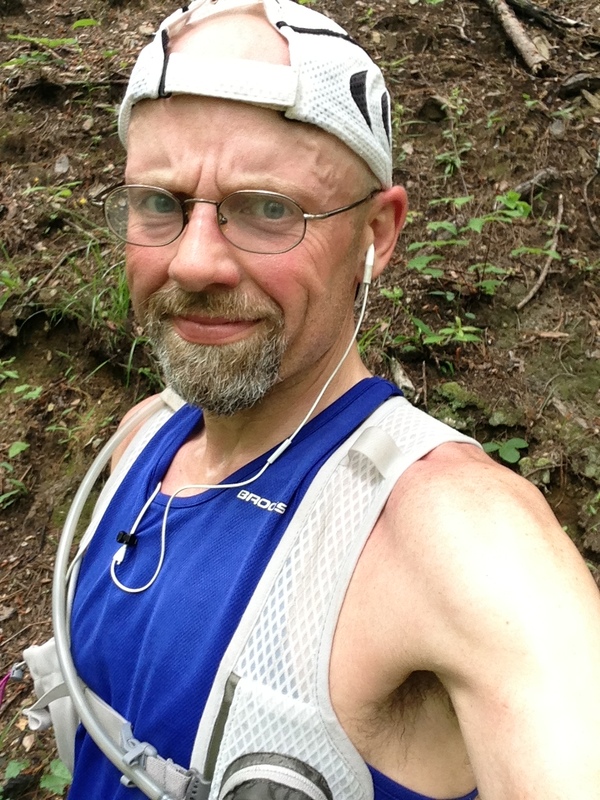 Oh, that and the fact that my singlet and cap were drenched by mile 5. As the day wore on and the heat increased, our bodies fought to cool themselves. While we were able to stay hydrated, the body worked harder to cool itself and adding to general fatigue. And it took a huge toll by the time I reached mile 18. The rest of the race became a survival slog. I set my Suunto screen to show my heart rate and I ran by that. There were times as I walked slight uphill grades where my HR would increase to a level I usually see when racing a marathon! Not good. And I started fantasizing about coffee way too early in this race; like mile 9. Usually I don’t crave coffee until near the finish. I got to the finish after a long day. As I spoke with other finishers, we agreed that this was a TOUGH day to run a beautiful course. 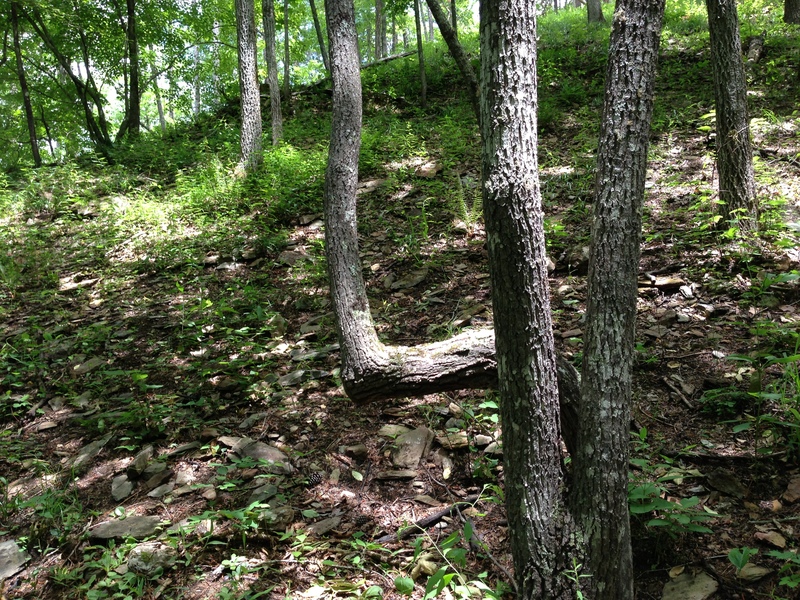 Everyone remarked how their times on this relatively mellow course were slower than February in Cheaha, a course with some 8000 ft of climbing! I’ve written here before that summer running in the South is hard stuff. When I’m marathon training, my runs last no more than 3 hours on a long day and I’m out earlier than 7. Humidity takes a toll on the body over a long run, especially a 50K. Adjusting expectations and effort level with every mile is essential. 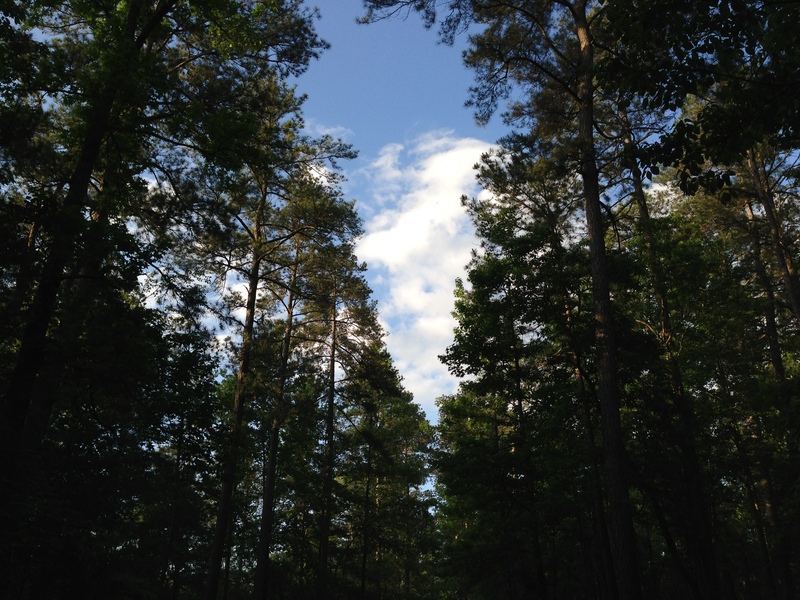 HR data and feedback from the body are the best indicators of where you are physiologically. With HR drifting higher even on easy patches, I knew I had to be careful and not push as hard as I wanted. Staying on top of hydration and electrolytes is essential. And in the end, on tough race days like this one, finishing happy and healthy take precedence above all other considerations. Runners who run smart, run happy for years to come. If you ran this course in February or March, I think you’d see a lot of fast finish times. But 50K is about the challenge. And running this in June made this a serious mental and physical challenge. One I am proud that I took on. After the race, dry clothes felt nice! I re-filled my Nathan Vest bladder twice on course, which brings my hydration total to about 5 liters on the day. This includes cups of water at aid stations. After the turnaround, at each manned aid station, I drank two cups of water mixed with Vega Electrolyte hydrator powder. And I took close to 12 Hammer endurolytes as well. I ate two packs of Clif shot bloks, a Clif Bar, and a Clif Double-espresso gel, along with a banana and a couple of handfuls of chips and pretzels at aid stations. I was properly hydrated. No issues there. And my calorie intake was good. I consumed nothing the last 4 miles of the race, I was neither hungry nor thirsty, mainly because I was DONE, physically and mentally and wanted to do nothing but shuffle to the finish. Todd Henderson directs great races. It’s like a family affair. At the finish, his wife Jamie checked in runners and handed out medals as Todd manned a grill, cooking burgers for the finishers. I watched them for a moment and was impressed and touched by their friendliness and their devotion to this sport and to those of us who ran. Without question, a great race report that I looked forward to. The 50k race is tough enough on it’s own (I’ve not the courage to run), but add in heat and humidity from the great southeastern U.S., and the challenge takes on new heights. I enjoyed the study of form from other runners, the analysis of physiological data, and the recognition of the local race director’s passion and dedication to making a great experience available to all. I have a similar race director down here in Fl. by the name of Chris Lauber. He puts together four 1/2’s a year, a 5k run to celebrate the lives of fallen police men, and is venturing into “virtual 1/2’s” as well. 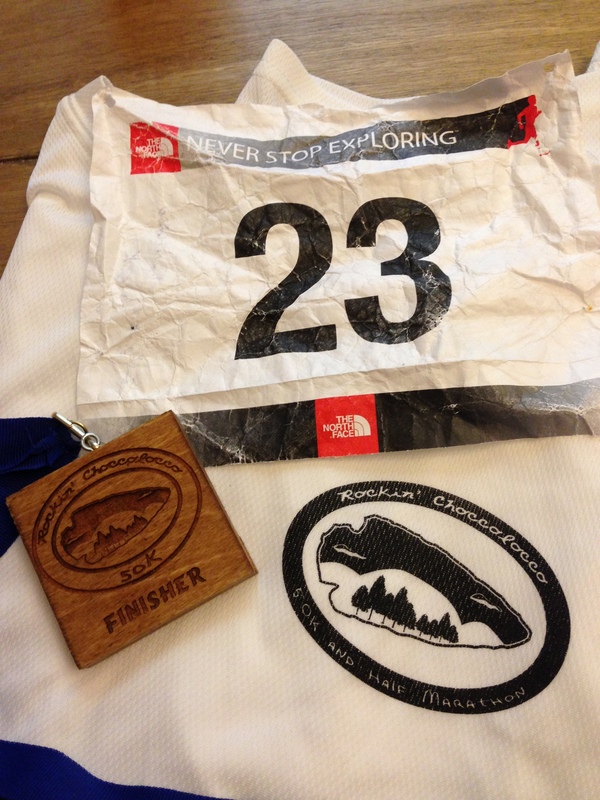 Thanks again for a great race report, and for the inspiration you provide others, with all you have accomplished! Nice job. Tough to race a 50K in June let alone the south!!! I was behind you for a good part of the race until the turn around at the half. So glad to see you put some perspective on this race. I did not do the 50k, but felt thoroughly challenged by the half!! You asked several times if I would like to pass and I respectfully declined, mainly because I was scared to death to not be able to SEE anybody and miss a turn! Great job on the finish and the race report!!! Gordon, excellent race report. One of the best I’ve read. I was wondering how you like the ambit? How does it compare to a Garmin. I’m trying to decide whether to get an Ambit or a Garmin 910. Any thoughts? Thanks Gordon. I look forward to your impressions. One of the best things about this race was the people. It certainly helped with motivation while battling the heat and humidity. Thank you for covering. Excellent report and pictures.